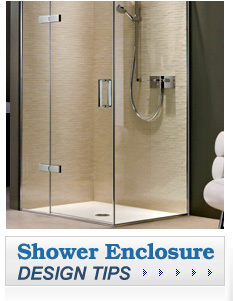 Let Kennesaw Glass & Mirror modernize the bathroom in your Johns Creek, GA home by installing new glass shower doors. Many older shower doors come with weak, thin pieces of glass that are held in place by bulky aluminum frames that are not only hard to clean, but hard to look at too. Luckily, we have experienced glazers who can create a customized glass shower door using thicker tempered glass that will be able to stand on its own without the need for the ugly frame. Not only will your new glass shower door look amazing and give your bathroom an open feeling, but by simply wiping it down from time to time, you will be able to preserve its beauty without having to deal with rust or water spots that are common problems with metal frames. 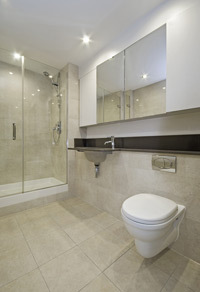 When we send technicians to your home, you can be sure that they will treat your home with the utmost respect. They will wear shoe booties and put down protective gear to shield the carpet in your home, and are trained to leave the job site clean before they leave. Additionally, we offer a 100 percent satisfaction guarantee on all of our work, so we will never consider the job done until you’re completely satisfied. Plus, all of our labor is backed by a one-year warranty, allowing you to feel confident that we will stand behind our work and make sure your new glass shower door is installed properly. To learn more about the glass shower doors we fabricate and install for residents in Johns Creek, GA, contact the experts at Kennesaw Glass & Mirror today.